Four more rewilding initiatives have recently been welcomed as new members of the European Rewilding Network. This brings to 34 the number of members who have joined forces to exchange experiences and inspire each other. The network now also encourages an even wider range of rewilding-related initiatives to join. Its third experience-sharing event for members is being planned for September. The aim of the European Rewilding Network (ERN) is to build a living network of many rewilding initiatives in order to support rewilding in Europe as a conservation tool. At its official launch in October 2013, it presented twenty members from thirteen countries, and it has grown with fourteen rewilding initiatives since. The number of countries involved increased to eighteen. The total land surface in which members of ERN are engaged with rewilding activities, so far covers more than 1,8 million hectares across Europe. This includes the Rewilding Europe areas which constitute about half of that area. The four newest members are Tregor’s Wildlife Reserve (France), Rewilding Puglia – Oasi Lago Salso (Italy), Wild Sweden (Sweden) and Knepp Wildland (England). It seems as if a good example tends to be followed, since three of the new members were inspired by other major rewilding initiatives in each of their respective countries, that earlier joined ERN. With Knepp Wildland as the first rewilding project from England to join, the question arises who will be next to follow? Every time a new member is welcomed, the scope of the European Rewilding Network broadens. At present, rewilding experiences from Italian wetlands as well as from French wooded wetlands are covered within the Network. These highly dynamic areas are home to aquatic species like salmon, and numerous wading birds. Additionally, a forest-grassland mosaic located in the north western part of Europe is now part of ERN. Also, flagship species such as elk and otter are represented by the new members, enlarging the current knowledge on these species within the network. 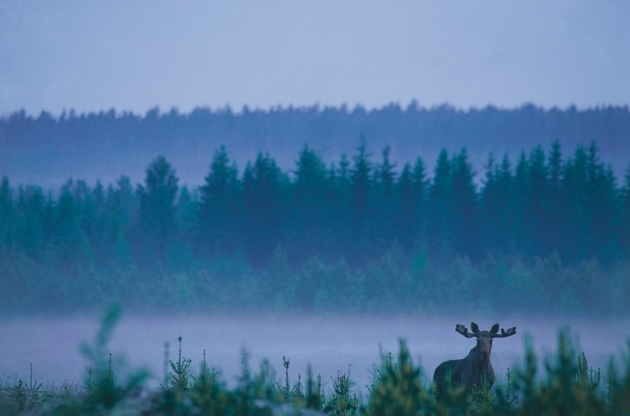 Besides expanding the coverage of great rewilding initiatives of the European Rewilding Network, the scope to invite inspiring initiatives to join the network has been widened. This enables an even broader range of rewilding projects to become part of ERN and exchange experiences with other members. Among them are: successful examples of changing water management into more natural flows; agreements about sustainable fishing, enabling water-dependent species to flourish; initiatives improving the coexistence of man and wildlife; projects that lead to new alternative uses of wilder spaces; and working examples in which the stewardship strives to support natural processes. Several of these elements are now represented with the network’s newest members. Next to its other tools, Rewilding Europe has recently improved the web pages covering the European Rewilding Network, and they can be found at www.rewildingeurope.com/european-rewilding-network/. Two fruitful experience-sharing webinar events have already taken place for the members of the network. During the first webinar of ERN, in April, we discussed and learned about reintroductions of large herbivores, different practical field experiences from these, and species management. A second webinar in July addressed inspirational best-case examples on how building partnerships with hunting interests can be very beneficial to rewilding. With all new members on board, we are now looking forward to the next membership event, which is being planned for September. An update about the valuable exchanges of knowledge will follow. In the meantime, feel free to explore the network and its members. And see how inspiring rewilding initiatives can become part of this growing network. Feel encouraged to join in and together Make Europe a Wilder Place.